Soilless growing mixes are prone to water repellency, a problem that interferes with proper water, air, and nutrient management. An initial surfactant treatment in the mix helps it to wet, drain and perform well early in production. However, this surfactant treatment degrades over time and cannot prevent the development of water repellency in the later stages of production. 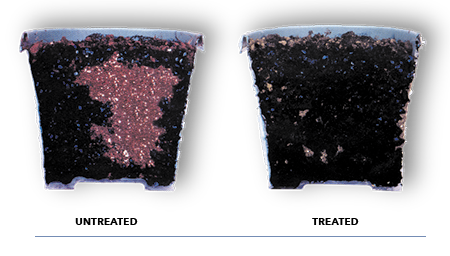 Consequently, soilless mixes become less uniform and less efficient over time. This is a challenge. As plants grow, they need adequate amounts of water and nutrients, yet the development of water repellency reduces the soilless mix’s ability to meet those needs. 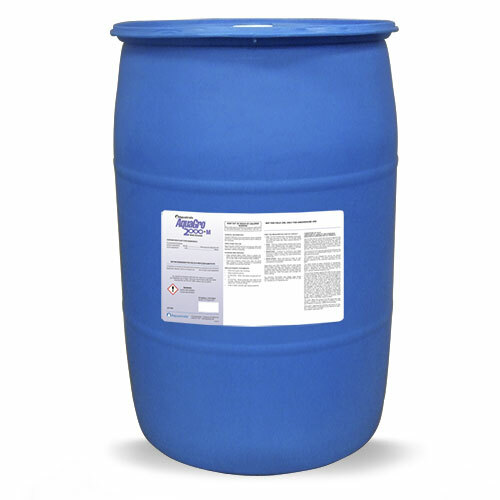 AquaGro® 2000 L was developed to overcome water repellency in soilless mixes so they perform at full capacity from the start of production until the plants ship out the door. University research and real-world grower feedback has verified that plants thrive when AquaGro® 2000 L is consistently applied throughout production. This practice ensures that water repellency is addressed on an ongoing, real-time basis so that the mix continues to wet and drain uniformly and all nutrients and soil directed fungicides are available to feed and protect the plant. AquaGro 2000 L prevents ponding and channeling in potted media, ensuring that the entire container wets uniformly. Try AquaGro 2000 L Today! For more information about AquaGro 2000 L, including pricing and availability, contact your local Aquatrols distributor today!